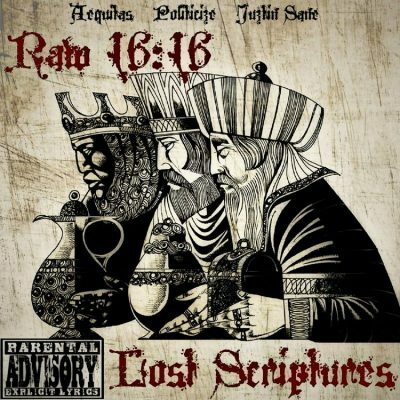 Underground talent at its finest, underrated rap artists Aequitas, Politicize and Juztin Sane come with raw and gritty aggressiveness in this action packed mixtape. Salvaged from a crashed computer, these underground classics compiled between 2016 and 2017 were almost lost forever. Get ready for some angry words of wisdom in these recovered Lost Scriptures!